When considering getting help for alcohol dependency many individuals may prefer undergoing the detox and withdrawal phase within the privacy of their own home. 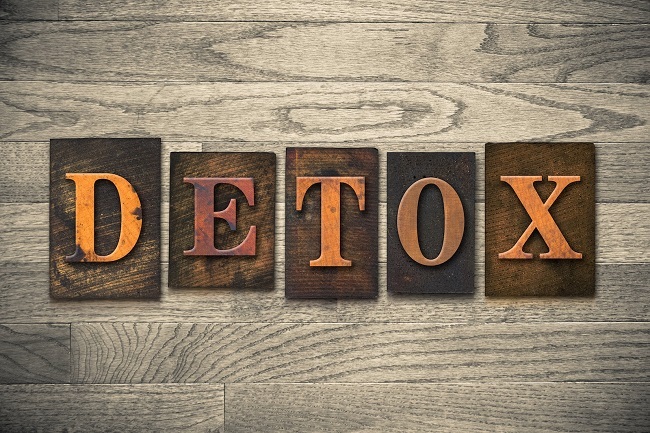 Detoxing from alcohol, however, can pose serious, even life-threatening, risks if undertaken without medical supervision. Alcohol withdrawal and detox from alcohol should involve a trained in home detox nurse who can monitor vitals and administer medications as needed. 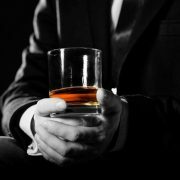 The first step to getting clean and sober is to first rid the body of the toxins associated with the alcohol addiction. Detoxifying the body marks the moment in time when the drinking ceases and the process of treatment begins. Stabilizing the individual both mentally and physically is the priority at the outset of addiction treatment. By removing all of the toxins from the body, it allows the individual to enter into a treatment program without the physical symptoms associated with alcohol withdrawal. Most treatment facilities will not admit an individual until the detox and withdrawal phase is complete. 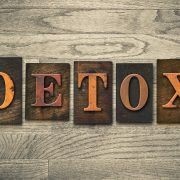 Without successfully completing detox, the patient would be too unstable to benefit from an addiction treatment program, and emotional upheaval or relapse likely result. In addition, the other individuals in the program would be negatively impacted by the presence of someone who is not detoxed. Stage one: The initial phase of detox begins approximately 8 hours after the last drink and is characterized by anxiety, nausea, abdominal pain, and insomnia. Other symptoms include mild hand tremors, loss of appetite, vomiting, foggy thinking, sweating, and headaches. Stage two: The second phase starts 24-72 hours after the last drink and involves increased body temperature, blood pressure, and heart rate, and confusion. The individual may experience mild hallucinations. Stage three: The final phase of detox begins 3 days after the last drink and can involve fever, hallucinations, disorientation, agitation, and hallucinations. In severe cases, the delirium tremens may occur, possibly causing seizures. Holistic therapies aid in withdrawal symptom relief and improve overall mood while detoxing from alcohol dependency. 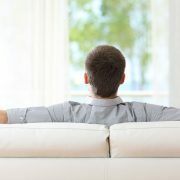 Once the detox and withdrawal phase is completed, typically within one week, the next phase of recovery can begin. 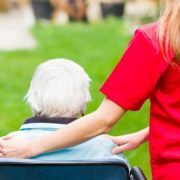 There are options available as to the level of care and treatment preferences available. Two primary options, outpatient and inpatient, are further differentiated by a variety of services, methodologies, and philosophies. In outpatient treatment the individual is able to reside in their home while participating in counseling, meetings, and classes at an outpatient facility. The level of treatment is determined by the history of the alcohol use disorder, ranging from about six hours per week up to 15 hours per week for an intensive outpatient program. On average, outpatient treatment requires nine hours of attendance, which provides the client some time to work, attend school, or attend to child-rearing responsibilities. In an inpatient treatment program the individual resides at the rehab facility for a specific number of days. During this period, which can range from 30 days to six months, the individual participates in ongoing individual and group therapy, 12 step or non-12 step meetings, discussions and presentations, family group, and various adjunct therapies, such as art and music therapy, yoga, exercise, and meditation. Kinkaid Private Care will connect you to a qualified and trained in home detox nurse who will provide supervised detox and withdrawal services, as well as holistic therapies, within the privacy of your home. For more information about private alcohol detox at home, please call Kinkaid Private Care today at (877) 388-6373. Los Angeles including Beverly Hills, Bel Air, Brentwood, Westwood, Pacific Palisades, Santa Monica, Malibu, Holmby Hills, Cheviot Hills, Culver City, Beverly Glen, and Beverlywood. Orange County including Costa Mesa, Newport Beach, Huntington Beach, Irvine, Laguna Hiils, Laguna Beach, Mission Viejo, San Clemente, and San Juan Capistrano. San Diego including La Jolla, Eastlake, Hillcrest, Carlsbad, Oceanside, Coronado, Chula Vista, Del Mar, and Escondido. San Francisco and Bay Area including Daly City, Palo Alto, Mountainview, Oakland, Berkeley, San Rafael, Richmond, Walnut Creek, and Alameda.